I tried measuring the voltage again at the plug (unplugged from the check valve) and received a consistent rise from a cold start to fully warmed up with a drive on the freeway. Voltage starts at 8-10v at cold start and falls on a cycle to around 60Mv when fully warmed. I would have to say this test is inconclusive, or just me missing something with my multimeter. Is the DME supposed to ground a full 12v through the valve when the valve opens? What exactly is the "low voltage threshold" issue that is supposedly outlined in that mysterious BMW service notice? I have noticed over the months that the CEL frequency coincides with how often I drive the car -- meaning if I'm not DDing the M3 and drive it 2-3 days a week, the CEL may only pop up every 2 weeks. For better or for worse, though, simply scanning for codes and resetting the light takes less than 3min, so my incentive to tackle this issue isn't that strong right now. I would definitely post a solution if I found one, because this seems to be a pretty common issue for OBD-2 cars and there are very little in the way of solutions to this issue reported. Damn think we have the same mysterious PITA problem. Think I may just buy a new Evap shut off valve. My light comes on between 50-150 miles. My 99 also has about the same miles. Regardless, I would be sure to test the basic functionality of both the existing and replacement part with 12v applied across the terminals. The valve has a plunger inside that moves up and down in its housing with 12v. IIRC, it is normally closed and opens when the DME grounds the circuit. You can replicate this function with a 12v battery and test wires. It should move up when you apply the 12v, and immediately return to its original position when you remove the power. Replacing this valve didn't work for me, but I have read about it working for others, so YMMV on this one. After getting a peake took and finding the "EVAP shut off valve stuck closed" error, I removed it and checked it. Well I took a good look at the evap shut off valve, tested it and it worked fine. It was cycling and allowing gases in. Maybe the solenoid was stuck? Only other thing I did was checked the gas tank cap. and turned the seal inside out. Then the light went off!... usually it would only go for 50 miles. This time it stayed off for 500 miles. WTF. This is a new code now. I also just cleaned my MAF sensor. Wondering how accurate these damn codes are. Next step will be to get a new one. In the mean time I just reset the code and bought a new gas cap. Will let you know how it goes. I am sick of this damn CEL. I believe I have found a lead in regards to solving this problem. I've been DDing the 36m again, and of course the FD code is popping up regularly as I described. This is accompanied by a very intermittent (2-3 months) "e6" from the same table 11 of the peake code -- the "e6" being a "slow response time" code for the precat sensor on the cylinder 4-6 exhaust manifold. The regular FD code is getting annoying, so I am now determined to solve it. 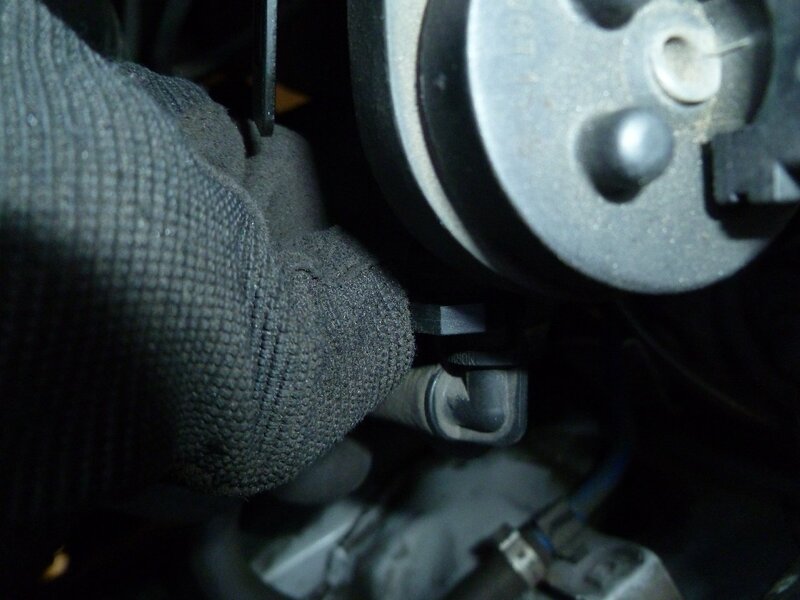 The o2 sensor issue is on my maintenance radar and I plan to address that fairly soon as well. 1. 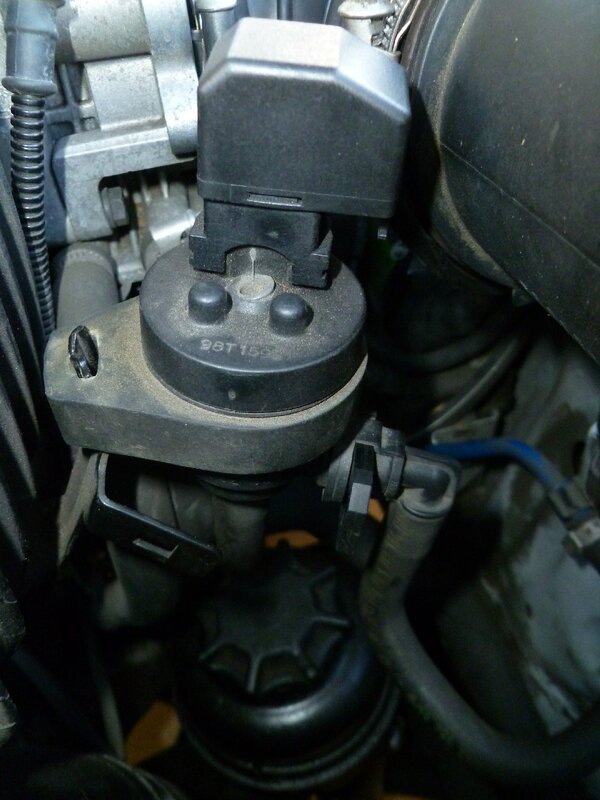 Test this engine-bay valve for functioning using the 12v test. 2. Test for airflow through this valve in conjunction with the 12v test. 3. 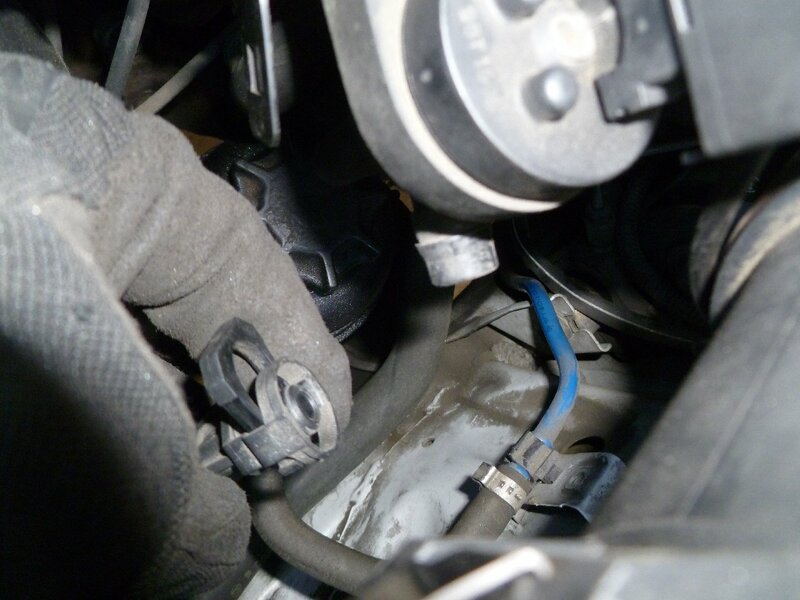 Test for blockages in the blue supply hose between the trunk area and the engine bay. It looks like this valve is P/N 13901744150 and is around $80 new, so if mine fails tests, I will try my luck with one from another OBD2 e36, or e39 at the scrap yard. Last edited by Jrrrrrrr; Sat, Jun-17-2017 at 01:29:35 PM. 1. Tested for functioning of the purge valve -- it opens with addition of 12v. 2. Tested for airflow through that valve with addition of 12v, completely open. 3. Tested for blockage in the blue feed line with my mightyvac vacuum tester -- no vacuum achieved which leads me to believe there is no blockage in the line. At this point, because the shutoff valve on the carbon canister in the trunk functions fine, I have to move on to inspecting the fuel tank area and the lines that come from there to the canister in the trunk. It truly amazes me that there are so many people reporting this issue with almost no resolution reported. All times are GMT. The time now is 01:57:08 AM.